A summer flounder fishermen’s wintertime daydream, that describes today. A blue sky, no humidity, no bugs, light wind and a good flounder bite . I fished for 2 hours and 20 minutes today. 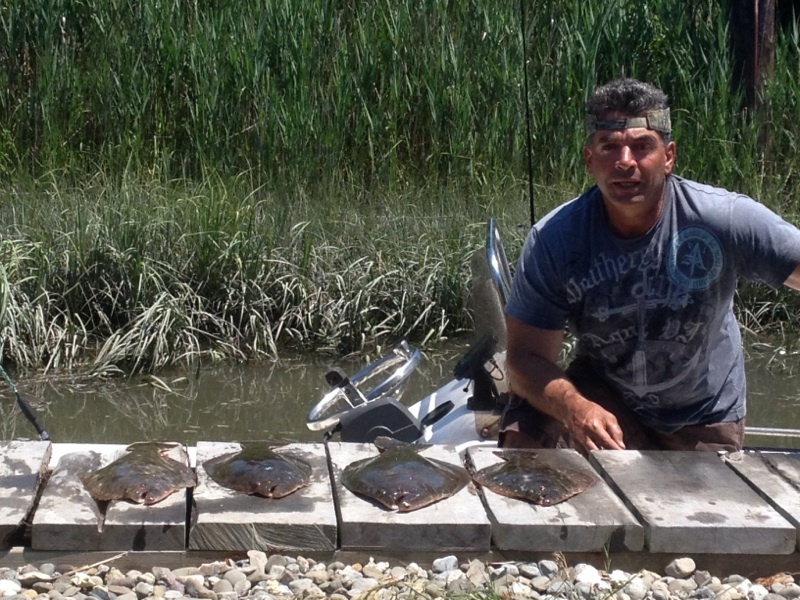 I caught 4 keeper flounder the biggest was 24″. The water temperature was 67 degrees. The conditions are excellent for back bay flounder fishing from Corson’s inlet down to Cape May Harbor.